OMG OMG OMG NEWS! Of the visual variety! Go there. Watch. It’s a mix of game footage and interviews with Da Man himself. Then, if you’re into that sort of thing (and I used to be but my RL time is rather more limited than it was), go to the forums and froth the crap out of it. I haven’t watched all of it myself yet because the 720HD version won’t stream properly for some reason. I guess I could watch it in crappier low-def… but I’ll wait a bit more. Hype, I welcome thee. Face-hug and chest-burst me with antici………….patory goodness! Even if Ardua is a nasty Tramplar. As far as beta’s concerned he’s my bestest bud. Mwah mwah! *And if wishes were horses I’d own the Ponderosa Ranch. Yeehaw, Hoss! How many Chthulhu and other refs can you spot? IronWoman LOTRO – I’m rich! Rich, I tell ya! There will be a beta and you will be in it. I know something Mel doesn’t know. What are you, Illuminati now? Don’t make me fetch the comfy chair and the soft cushions. … I love you Mel. Ultra-pure holy chastened self-flagellated gentilesse love, I hope. wow gratz! I have been following the developments on this for a while (and taken the silly test on the homepage – apparently I’m a templar /pff), it’s nice to get new snippets of information. I got someone who will be very interested to hear this! I can’t wait for this one. The combat system seems interesting – attacks (or heals) put enemies (friends) in a ‘state’ which your teammates can then exploit. Seems similar to what DCUO is working on in a way. Has anyone heard if it will be tabbed targeting or aim based? 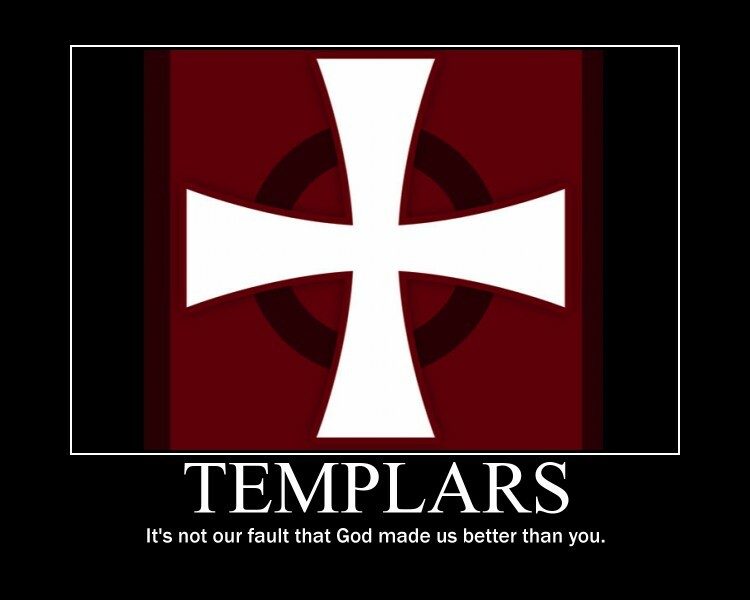 I took the test and the result was Templar. This was a surprise – I don’t consider myself evil, but no one has ever accused me of being godly either. If I had a D&D character sheet I’d probably be chaotic-good so the information about the Dragons resonated a little more with me – took a quick dip into the forums though and at first glance it looks like the Dragons are the more popular choice with the younger set, so at this point I’m leaning towards the Illuminati. It was a very quick dip though so that may change. Yeah. I think there’s a problem with the test because well over half the respondents come out as Dragon, which means it’s probably the “norm” or the “safe” answers — I don’t remember it that well. As for targeting, it’s tabbed — I seem to recall someone mentioning that in the video, or maybe it was in something else I watched or read recently.